Non Members £2 on the night. Local community archaeologists are finding new and intriguing signs of pre-historic human activity in the Clwydian Range. The exhibition shows some of the archaeological processes which reveal these fleeting traces of our distant ancestors. As successors to the Heather and Hillforts project, the Clwydian Range Archaeology Group (CRAG) have been surveying and excavating in the Moel Arthur area for a number of seasons. In that time, tantalising glimpses have emerged of human activity, some of it probably medieval, and some appearing to go back thousands of years, possibly as far back as Mesolithic times. As well as showing what has been found in successive years of excavation, the exhibition explains some of the methods archaeologists use to investigate, gather evidence and record the results. At weekends, while the exhibition is open, a member of the CRAG team will be on hand between 11am and 3pm to answer questions about the excavations and the archaeological processes involved. Between these times the finds from recent digs will be displayed. 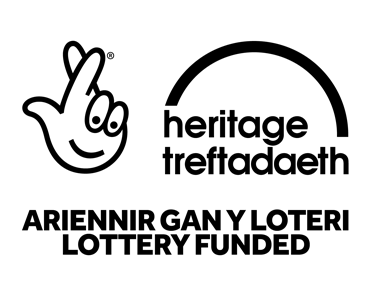 The exhibition is sponsored by the Heritage Lottery Fund and the Sustainable Development Fund for the Clwydian Range and Dee Valley Area of Outstanding Natural Beauty. Find out about this works, built near Bagillt in 1778, and the recent identification of roadside remains. A poetry-writing masterclass with Ian Parks aimed at those with some experience. Explore the notion of love poetry and be encouraged to take up the challenge of writing love poems yourself. As many of the greatest love poems in the English language have been written in the sonnet form, consider the appropriateness of this medium and go home with a love sonnet of your own! Ian Parks was one of the first Writers in Residence at Gladstone’s Library in 2012. His collections of poems include Shell Island, The Landing Stage, Love Poems 1979 - 2009 and The Exile’s House. Ian is the editor of Versions of the North: Contemporary Yorkshire Poetry and was Writing Fellow at De Montfort University in Leicester 2012 - 2014. Ian lives in Mexborough, South Yorkshire, where he is a driving force behind the Ted Hughes Poetry Festival. His latest collections, Citizens and If Possible: Fifty Cavafy Poems, were published in 2016. To book, please call 01244 532350 or email http://enquiries@gladlib.org. Entry £2 per head for visitors, members free. Doors open 7 pm. All are welcome. Come and hear the story of Tom Dillon's great uncle who went down on the Titanic but survived. £2 per head, free entry to Q.W.A members. Starting as an anti-establishment secret society, the Pre-Raphaelite Brotherhood soon set the Victorian art world on fire. From the early jewel-like pictures of the ‘truth-to-nature’ style, developed a dreamy, Medieval art, which had a profound effect not only on the English, but also the continental and American Avante-Garde. In this lavishly-illustrated course, Adrian Sumner looks more closely at John Millais, William Holman-Hunt, Dante Gabriel Rossetti and his inspired pupil Edward Burne-Jones, and the waves of influence they exerted on William Morris the Arts and Crafts Movement, the Aesthetic Movement, Symbolism, Decadence and the period style of Art Nouveau. A graduate of Liverpool College of Art, Adrian has worked as an Illustrator, Arts Development Officer and Lecturer in various academic and public institutions including NADFAS. Latterly he was Arts Development Officer for Cheshire West and Chester Council, with a particular interest in Visual Arts. Currently he divides his time between organising study weekends in Britain, cruise ship lectures, painting and exhibiting, and delivering study days and single lectures in Britain and abroad. A masterclass with February Writer in Residence, Polly Atkin. Using examples of writing about bodies in different scenarios, pen a creative piece of work of your own! Polly Atkin is a poet. Her debut collection, Basic Nest Architecture, was published by Seren in 2017, having already been awarded New Writing North’s Andrew Waterhouse Prize for a pre-publication extract. Polly’s pamphlet, Shadow Dispatches (2013), won the Mslexia Pamphlet Prize in 2012 and her debut pamphlet, Bone Song (2008), was shortlisted for the 2009 Michael Marks Award. Polly has taught English and Creative Writing at Lancaster University as well as the Universities of Strathclyde and Cumbria. Polly was recently diagnosed with Hypermobile Ehlers Danlos Syndrome and Genetic Haemochromatosis. Through writing and speaking about her life with chronic conditions, Polly hopes to raise awareness and provoke discussion. ‘Precise and assured and sad and superb’ (London Review Bookshop on Basic Nest Architecture). Tickets are priced at £35 which includes lunch and tea / coffee. To book, please call 01244 532350 or e mail http://enquiries@gladlib.org. You are invited to Flint Story Shop. What does Flint's foreshore mean to you? Come and Look at the past, the present and future stories of Flint. An illustrated talk for the Buckley Society by Gavin Hunter. Non members £2 entry fee. Organised by Discovering Old Welsh Houses (01766 890550). The speaker will be Mike Taylor who is a Coastal Ranger. Celia Drew Membership Secretary, Quay Watermen's Association. Connah's Quay. Based on his book of the same title which joins up current scientific views of reality with Christian theology, this course with Don MacGregor looks at some of the big questions around how we think about God and Jesus. Consider quantum consciousness, the power of the intentional mind, morphic resonance and other new scientific theories. Don MacGregor is an Anglican Priest living in Fishguard, West Wales. He has an MA in Theology and has been a university chaplain, a science teacher and a youth worker. Don’s Christian journey has moved from evangelical and charismatic to mystical and esoteric with aspects of contemporary holistic spirituality, and an emphasis on meditation and contemplative prayer. He is an active member of CANA (Christians Awakening to a New Awareness) and PCN (Progressive Christian Network). Residential prices start from £125, non-residential from £90. Discount rates for clergy and students apply. For more information or to book, please call 01244 532350 or email http://enquiries@gladlib.org. The next Mold Civic Society meeting will be Thursday 5th of April. When Eifion and Viv Williams will talk on “Flintshire Memorial Stories” New members are always welcome. Visitors are also very welcome for a small fee each visit. Faith and doubt, folly and failure go together in the stories of Jesus’s disciples, both in any meaningful creative endeavor and in any real life. Using these perspectives, Deborah Lewer explores great and lesser works of visual art from the Middle Ages to the present day, seeing in art’s traitors, doubters, fools and bunglers where wisdom comes of folly, beauty of imperfection and of failure, grace. Anyone with an interest in art and/or faith is very welcome. The weekend is led by Deborah Lewer, Senior Lecturer in History of Art at the University of Glasgow. For more information or to book, please call 01244 532350 or email http://enquiries@gladlib.org. Unfortunately due to illness Dr Baker is unable to attend so and alternative talk on the North East Wales Heritage Forum will be delivered by Paul Davies. Same time / same place. A talk on the history of coal mining in North Wales by Alun and Margaret Jones of the North Wales Miners Association Trust. Organised by the Quay Watermen's Association entrance costs £2 but is free for Q.W.A members. A new exhibition which opens at Wrexham Museum on 21 April is based on the challenge of telling the story of North East Wales in 100 objects. This exhibition is the culmination of a two year Heritage Lottery Fund project by the North East Wales Heritage Forum, which was set up to celebrate, conserve and promote the rich heritage of the North East Wales borderlands. The Forum brought together community heritage groups across the region and asked them to suggest objects that each represent an aspect of our local history. With the suggestions flooding in, the search was on to track down the recommended items and secure their appearances in this unique exhibition. The display is an eclectic mix of objects ranging from a prehistoric horse jaw from Gop Cave, arrow heads from Denbigh Castle, a River Dee coracle, the smoking hat of poet John ‘Ceiriog’ Hughes, a copper manilla from Greenfield Valley to the modern day Airbus wing rib. Students from the Creative Industries Department at Glyndŵr University have been involved in creating audio pieces related to some of the objects. The exhibition, which is free of charge, is on display at Wrexham Museum from 21 April until 30 June 2018. The exhibition is accompanied by a book The History of North East Wales in 100 Objects that will be available from Wrexham Museum and other local outlets, including The Bookshop in Mold and Ruthin bookshops. Alternatively e mail N.E.W.H.F via the contact page on this site. We are happy to provide images and information about the objects if you are interested in doing a feature on this project. Entry £2 per head but free to members. If the weather is good a tea break will take place on the dockside viewing area where the river view is amazing. A lecture by Dr Shaun Evans Chairman of the North East Wales Heritage Forum for the Flintshire Historical Society. For more details please visit the Society web site via the link below. The Annual General Meeting will be held at 7.15 pm followed by reminiscences from members and a look at archive material. Tower is a Grade 1 listed building with the distinction of being the only fortified Welsh border house still standing. Dating from the 15th century, it has been in the same family for over 600 years. During the guided tour you will have the opportunity to view the various stages of construction, hear details of the interesting family, and of the fate of a former Mayor of Chester. Another year has almost passed and a lot has been achieved. To coincide with the 100 Objects Exhibition we have booked a room in the Wrexham County Borough Museum for our A.G.M this year; it will be held on May 22nd at 6.30 pm. Please give your support to the event. Confirmation has been received that attendees can take the opportunity to visit the exhibition immediately before the meeting for a private viewing. Any queries please use contact page on this web site. The Museum which is situated in the County buildings, Regent Street, Wrexham LL11 1RB is only a short walk from the main bus station or the central railway station. If travelling by car there is a multi-storey car park adjacent to the venue in St Mark's Road or ground level parking at the Island Green shopping park to the rear of the museum. Entry to the exhibition is free. The speaker will be Celia Drew, Heritage Lead at the QWA. If the weather is good, we will take the tea break on the dockside viewing area where the river view is amazing. A presentation by Peter Thompson, Bellhanger. This promises to be a fascinating insight to a dying art. Not to be missed! Starts when the church clock strikes 7 pm! See the Chain saw sculptor in action. Exhibition of James Bentley's pictures of the river all weekend. A visit to Tomen Y Rhodwydd motte and bailey castle, Llandegla. 6:30 pmParking off B 5431 approx. 100 m after junction with A 525 Ruthin Road. We will be joined by Fiona Gale, who will guide us around this spectacular monument. Starts when the church clock strikes 7pm! 10 am - 4 pmSt Bartholomew's Church Sealand CH5 2LQ Borderlands Mission area. Coastal Kids Club with the QWA - Coastline erosion, tides and floods. and activities around the Connahs Quay Waterfront. Coastline erosion, tides and floods. Parents must call 01244 818029 between 2-5pm and provide the name of their child, child's age, and parent's name, phone number and email address. Parents must remain onsite in the cafe - cake and free wifi! Midsummer Solstice Walk to Moel Ty Uchaf. Dogs are welcome but must be kept on lead at all times. Please wear appropriate footwear/clothing etc. Parents must call 01244 818029 between 2-5pm to book and provide the name of their child, child's age, and parent's name, phone number and email address. Did you ever wonder how Hurlbutts Drive Queensferry (by the Leisure Centre) got it's name? Come along and hear how Henry Hurlbutt (local entrepreneur and industrialist) and his family helped to shape Deeside in the 19th century. £2, free to QWA members. Get an introduction to studying history at degree level at our special subject day. • Victorian crime and punishment. A Reflection on My Time as County Archaeologist for Denbighshire. Reflection on My Time as County Archaeologist for Denbighshire." a presentation by Fiona Gale. and on the many and varied archaeological projects and discoveries made during that time. Set off on a quest this summer to rediscover the magic of the Mabinogion, King Arthur and the Knights of the Round Table in Wrexham Museum's latest exhibition. Children's events will be held throughout the summer and at half term. For further information go to www.wrexham.gov.uk/heritage and click on What's On in the Related Links list. The very popular exhibition which was hosted at Wrexham Museum earlier this year opened at Flintshire Museums on 23rd. July and is based on the challenge of telling the story of North East Wales in 100 objects. The final 100 represent thousands of years of history from the first evidence of human life up to the technology of the 21st century. Coastal Kids Club with the QWA - Marine litter. Plastics, the sea and you. Marine litter. Plastics, the sea and you. Hot chocolate and toasting marshmallows on a campfire. A talk for Friends of the Clwydian Range and Dee Valley. Loggerheads is on the A494 Mold-Ruthin road, 3 miles from Mold and 7 miles from Ruthin. Feel free to pass on details to anyone who may be interested. For the Agenda and supporting documents if you have not received them please contact Karen Weaver or Nev Howells at the addresses shown below. Rydym yn croesawu gohebiaeth yn Gymraeg. We welcome correspondence in Welsh. August 18th to the 25th. We have offered to undertake a Test-Pit Day School which will take place on Saturday 18th August. to our test-pit site which is adjacent to the Corwen Day Nursery, this is with the kind permission of Mr & Mrs D Wheeler. members themselves come along and take part? There is easy access to the Centre. There is free on-site all day parking, and the no 5 bus [NOT 5X], stops nearby. Light refreshments are available during the day. The fair is now the only dedicated postcard fair in the whole of North Wales, and collectors come from right across the region and beyond to support this event, and possibly find some 'gems' for their collections. Postcards came to the UK in 1894 from the Continent, so there's a wealth of images showing our towns and villages as they have developed over the past 124 years. See your area as your grandparents or great-grandparents would have seen it, and add some depth to your family trees, by finding pictures of places important to your ancestors. Even the more recent postcards show changes:- shops such as Woolworths and Macfisheries, which have now disappeared from our high streets, for example. Postcards also show images of thousands of other subjects - animals, military, cinema, plants and flowers, textiles, transport, archaeology, birds, theatre and many, many more, and of course, there is also the interest in the photography itself. Postcards were one of the outlets for local photographers. Some of the North Wales postcard photographers produced top-quality work, and names include Hutton of Colwyn Bay, Rae Pickard of Rhyl and F.H. May of Pwllheli. Another aspect is the message on the card....it was not always 'wish you were here' - some are amusing, others mention local or national events, or give an insight into the social life of the times, but all are unique. There is so much to enjoy in these small pieces of card, so do come along and see for yourself. We have a range of dealers booked already, offering postcards for beginners and established collectors, so whatever your interests, there will probably be something of interest to see. Prices start at c50p per card. The North Wales Postcard Club organizes this fair, but also, our regular meetings are held on the second Monday of each month, at the Craig-y-Don Community Centre at 7.30pm. Visitors or new members are always welcome. Check our website, for more information, or call me, the Secretary, Karlyn, on 01492-440763. Our Red Squirrels need you! Join us on a red squirrel training day to learn about red squirrels in Clocaenog Forest and how you can help conserve them! Philip Lloyd will give a talk on ‘Victorian Rhyl through the Eye of the Artist’, illustrated on the screen by engravings, lithographs etc which help trace the growth of this popular seaside resort in its 19th century heyday (sometimes with unintended humorous consequences – all will be revealed in due course!). He will also display examples from his personal collection of prints. As usual, non-members are welcome, admission £2. Welcome to the sixth year of Gladfest! We are delighted in 2018 to be celebrating 100 years of votes for (some) women and have gone all out with our festival colour palette – we hope you’ll enjoy the Suffragette theme as much as we’ve enjoyed applying it! At Gladfest we bring together the most exciting contemporary writing from all over the country, and this year is no exception with history, poetry, comic strips, memoir, nature writing, spirituality and fiction of all kinds. Our most exciting addition to the festival this year is the all-new Gladfest Fringe which will be packed full of free music, spoken-word poetry, family entertainment and refreshments. Plus, we’ve got a drop-in programme of comic book crafting activities for young people and those young at heart. Come and try a bit of Gladfest for free! A snapshot of the names this year include Sunday Times Bestseller Joanna Cannon (Three Things About Elsie), multi-award-winning author Sarah Perry (Melmoth), writer and broadcaster Richard Holloway (Waiting for the Last Bus: Reflections on Life and Death), novelist and poet Michèle Roberts (The Walworth Beauty), the Wolfson History Prize shortlisted Miranda Kaufmann (Black Tudors), broadcaster and writer Sally Magnusson (The Sealwoman’s Gift), Stylist journalist Lucy Mangan (Bookworm: A Memoir of Childhood Reading), plus an exclusive preview reading of their forthcoming Lord of the Flies production from North Wales’ premier theatre, Theatr Clwyd. Visit our Gladfest Speakers pages for the full list! In 2016 you asked for online booking and we gave it to you. Last year you recommended e-tickets and this year you’ve got them! Save the environment by bringing along your ticket on your phone or tablet and have it scanned as you enter the event (a print and collect service is available for those without access to printing facilities). PLUS we’ve got special discounts for people travelling to us on Arriva buses – click here for details! Our writers, staff, the Library and YOU all make Gladfest what it is. PS download a copy of our programme straight to your smartphone or tablet here! We are looking for Gladfest volunteers - can you help? A wonderful range of interesting, unusual and beautiful historic homes and buildings will be open to the public for tours and talks this September. These fascinating heritage weekends area part of a European wide programme and brought to you by the Ruthin and District Civic Association, Cadw and Denbighshire County Council. Pick up the full Open Doors booklet from any Denbighshire Library from August. Also download booklet here. Clwyd-Powys Archaeological Trust and the Offa's Dyke Collabatory invite you to a one day conference event, held at the Marches School, Oswestry, on Saturday September 15th. This exciting and informative symposium, organised by the Clwyd-Powys Archaeological Trust, will feature perspectives from field archaeologists, academics, local history societies, enthusiasts, and many more. With talks on historical and archaeological aspects of these important border features, updates on recent excavation work, and discussions from conservation and heritage groups, this is a day not to be missed! There are free tables or display spaces available for groups and societies who have interests in areas related to Offa's and Wat's Dyke, related medieval earthworks and sites, and areas surrounding them. Please contact Penelope Foreman, community archaeologist, to book a table. The talks and discussions will be followed by an opportunity to have a guided tour of the excavation of a section of Offa’s Dyke at Chirk Castle, undertaken by the archaeologists of Clwyd-Powys Archaeological Trust. Please note delegates must have their own transport to Chirk Castle, and though access to the excavation site is free, delegates wishing to go on to visit Chirk Castle itself must pay the National Trust entrance fee. The cost of this event is £5, free for Friends of CPAT, and free for speakers or stall holders. Tea and coffee, as well as a light buffet lunch, will be provided. Please note any dietary requirements when registering for your ticket. The venue for this event – The Marches School, Morda Road, Oswestry, SY11 2AR – is accessible to all and has modern facilities, step free access, and plenty of free parking on site. A Musical Entertainment with the songs of Flanders and Swann and original material by Smith and Sergeant. Aimed at those who have completed our Latin in a Week course or at those have knowledge of Latin to GCSE standard. Read and understand extracts from the poets, comic playwrights and prose writers of Classical Latin literature. Look at basic Latin verse, scansion and metre, and study selections from texts including Livy, the Pliny Letters, Juvenal’s Satire 3, Ovid, and Virgil’s Aeneid, with a sprinkling of ancient graffiti from Pompeii. A week-long course led by Robert Parker. Residential prices start from £440, non-residential from £300. Discount rates for clergy and students apply. Duration - up to 3 hours. Exactly 250 years ago Sarah Ponsonby and Eleanor Butler, two upper-class Irish women met and formed a lifelong attachment. Ten years later they eloped to Wales, making Plas Newydd their home and becoming known as the Ladies of Llangollen. Come and hear about their life together with their beloved servant Mary Caryll, what their women admirers said about them and how they survived scurrilous gossip. A lively re-imagining by Jane Hoy and Helen Sandler of Living Histories Cymru. Don't miss this opportunity to step inside both @Cadw Rug Chapel and Llangar Church this weekend thanks to @Cadw. Free to go in and free guided tours of Rug at 11am, 1pm and 3pm @Heritage Tours North Wales. Need to go to Rug first to get ticket for Llangar. Also Open Doors in Denbigh this weekend - lots of buildings to visit. As well as a weekend full of free activities, it’s also FREE PARKING in town today 29/9, thanks to #Denbigh Town Council. 1:00 pmWrexham Library Rhosddu Road Wrexham LL11 1AU. This is an opportunity to find out more about this village castle which was built between 1283 and 1311 by John de Warenne and his grandson, successive earls of Surrey, following the defeat of Llywelyn ap Gruffudd, Prince of Wales. Kathleen and May Heritage Centre, Dock Road, Connah's Quay CH5 4DS. £2 per head, free to members. 7:30 pmMasonic Hall, Earl Road, Mold. CH7 1AB. An illustrated talk by Brian Gresty from the Brymbo Heritage Group, see Blog for more information on John Wilkinson. Gladstone’s Library has announced the names of the six winners of its Writers in Residence award and the two winners of its Politics in Residence prize 2019. Now into its eighth year, Gladstone’s Library’s successful Writers in Residence programme was established in association with Damian Barr (saloniere and author of Maggie and Me (2013) and You Will be Safe Here (2019)) to support contemporary novelists and poets across the UK and beyond. This year’s judging panel consisted of Senior Strategy Director at FutureBrand and Trustee of Gladstone’s Library, Freddie Baveystock; writer and editor William Atkins (The Moor); poet Jenny Lewis (The Epic of Gilgamesh); writer and journalist Patrice Lawrence (Orangeboy); Peter Francis, Warden of Gladstone’s Library; and Director of Collections and Research at Gladstone’s Library, Louisa Yates. The authors will each receive up to a month’s residency at Gladstone’s Library – the world’s only residential library, and a place that the UK’s creative community call home – where they will use the Library’s tranquillity and resources to work on their current project. During this time, the authors will engage with the library’s creative community, running a creative writing masterclass, giving an evening talk, and submitting a blog to the Library’s website. Rachel Hewitt (A Revolution of Feeling, Granta 2017) and Amber Massie-Blomfield (Twenty Theatres to See Before You Die, Penned in the Margins 2018) have been chosen as Gladstone’s Library’s Political Writers in Residence for 2019. Both Amber and Rachel will spend three weeks at Gladstone’s Library in 2019 during which time they will each host an evening event linked to their writing. Politics in Residence at Gladstone’s Library recognises the best written expressions of political thought, particularly that which encourages political debate with a public audience. Developed from the Library’s successful Writer in Residence programme, Politics in Residence recognises some of the best non-fictional writing in English. The programme rewards thoughtful, well-researched considerations of contemporary political topics: we take ‘political’ to mean any cultural, spiritual, economic, political, social or ethical issue. The prize does not distinguish between political leanings or affiliations; all submissions, however, must be aimed firmly at engaging the general public. Creative non-fiction, journalism, lifewriting and biography are all eligible. Acknowledging the global significance of political topics, the winning writer will also submit two blogs about their work while in residence. The 2019 Writers in Residence and Politics in Residence programmes are officially launched on Monday, 8th October at the National Liberal Club in London when each of the winning writers will be invited to read from their work. Tickets for this popular event are priced at £15 and can be booked by calling 01244 532350 or emailing enquiries@gladlib.org. Please note, the dress code for this event is smart – jacket and tie for men and no t-shirts or vests for women. No jeans will be permitted. Gladstone’s Library is situated just six miles from Chester with good transport links to Liverpool and Wrexham. It is Britain’s only Prime Ministerial library and the national memorial to William Gladstone. It is home to a unique collection of more than 150,000 printed items and offers a comfortable, sociable and stimulating environment in which to read, relax, converse and become inspired. It is the UK’s only residential library. The 2019 Writers in Residence Launch Evening is held at the National Liberal Club in London on Monday, 8th October. Press tickets are available. For further information, photographs and press tickets to the launch event, please contact Amy Sumner on amy.sumner@gladlib.org or 01244 532350. There will be posters to the fair, which is in the secondary school on the left on the hill leading from the actual bridge towards Benllech and Amlwch [B5420 (A5025)]. Next Wednesday, 17th October at 7 pm, the evening heritage talk will be about "The Connahs Quay and Shotton War Memorial". The speaker will be Mavis Williams, a researcher for www.flintshirewarmemorials.com who has researched the stories of all the names on the memorial from 1914 -1919, as well as some names that were not recorded there. You are cordially invited to come and see the wide range of displays and meet local history and heritage groups from across North East Wales. 7.15 for a 7.30pm start. studies based on the National Library’s Mostyn Manuscripts and related collections. Held in collaboration with Bangor University’s Institute for the Study of Welsh Estates and Stephen Colclough Centre for the History and Culture of the Book, it will demonstrate the research and cultural value of one of Wales’s most famous country house collections. A Buckley Society event in which Jennifer Watson, Church Warden at St Bartholomew's Church Sealand will give an illustrated talk on the R.A.F. camp and its' background. All are welcome, visitors are charged £2 at the door on the nights Members enjoy free admission. Gladstone's Library: Hearth gets an all-new format! On Saturday, 3rd November, inside the cosy common room of Gladstone’s Library, you’ll find Hearth literary festival. This special micro-festival offers keen writers the opportunity to pick up hints and tips on the writing craft, and ask questions of published authors about their experiences. It is also a wonderful opportunity for those interested in the world of writing to find out more about what is involved in becoming a published author. Previously split over two days, this year Hearth gets a makeover to ensure no one misses out on talks. Jam packed into one full day, four of the most exciting contemporary writers travel to Hawarden to gather around the fireside and share talks, readings and good food. 10 - 11am: Poet Angela Topping gives a reflective hour on the relationship between poetry and mental health. Angela was Writer in Residence at Gladstone’s Library for one month in 2013. Angela’s poems appear in a range of journals including Poetry Review. Her eighth collection, 'The Five Petals of Elderflower', was published in 2016. Angela recently contributed three poems to the anthology Please Hear What I’m Not Saying, edited by Isabelle Kenyon (2018). 11.30am - 12.30pm: All the way from the Australian countryside, editor and writer, Robyn Cadwallader takes the stage. Robyn is the author of the poetry collection 'i painted unafraid' (2009) and a non-fiction book based on her PhD thesis about virginity and female agency in the Middle Ages. Robyn’s first novel was 2015’s The Anchoress, received with critical and popular acclaim. At Hearth Robyn gives an exclusive reading– the first in the UK, from her most recent novel, Book of Colours. After lunch novelist Liz Flanagan speaks (1.30pm - 2.30pm). Reading from both her first young adult novel, Eden Summer, and the forthcoming Dragon Daughter (October 2018), Liz will discuss the topics of friendship and identity, and the importance of landscape, whether real or imagined. Her novels reflect her love of landscape and lifelong engagement with children’s literature. An event for all ages! 3.30pm - 4.30pm: Tara Guha shares her experiences of writing her first book, as well as news of her new project. Her first novel, 2015’s bestselling Untouchable Things, was written as her daughter napped. The novel won the Luke Bitmead bursary, a prize established to help writers and challenge stigma around mental health. Untouchable Things also became an Amazon Kindle bestseller and was praised for its beautiful writing and accomplished, suspenseful narrative. Tara’s current project is also a suspense novel, exploring a cross-cultural friendship against a backdrop of 9/11, tensions between immigrant communities – and an ongoing inquest. Before dinner there will be an hour-long panel comprising reading and reflection with all four Hearth writers, plus opportunities for discussion and questions. All tickets include free entry to the panel discussion. Book online at gladstoneslibrary.org, call 01244 532350 or email enquiries@gladlib.org. The Hearth micro-festivals began in 2013 and are held in November and February each year. Hearth is an opportunity to meet, talk and create with four authors over a weekend of writing-related activity. Interviews and press tickets are available. To arrange please contact amy.sumner@gladlib.org. The theme for this year’s forum is Sustainable Tourism and Business Engagement. This is a 4.5 mile Walk by Nev. Howell to enjoy some of the features at the extreme south east of our AONB It goes under the ducts, Aqua and Via, alongside the River Ceiriog, to the historic Castle Gates, around the outside of the castle and back through the canal tunnel. As part of National Explore Your Archives Week, Denbighshire ArchivesService, in partnership with TAPE, are holding a special screening of ‘Suffragette’. The screening will take place at the home of the Denbighshire Archive Service in Ruthin Gaol on Friday 23rd November from 7pm. The Gaol appears in a scene in the film and members of the Archive Service team will be present to discuss the work of the archive. The screening also marks the opening of The Gaol Cell Cinema, which will play host to a very exciting programme of special screenings throughout 2019. The next Mold Civic Society meeting will be Thursday 6th December. There will be a short talk "Nostalgic Mold" then the Christmas Social. 1.30 pm - 4 pmMeet in the centre of Corwen by the Owain Glyndwr statue ( SJ079 435) on the A5 in the centre of Corwen. This is an event organised by Penny Foreman of the Clwyd Powys Archaeological Trust, CPAT, to which FoCRDV are invited. Meet in the centre of Corwen by the Owain Glyndwr statue ( SJ079 435) on the A5 in the centre of Corwen. There is a public car park close by, just to the north of the A5. The walk heads north across the river Dee to the Leisure Centre and then begins to climb up to the Hillfort. The walk will take around 2.5 hours with plenty of stops on the way up to admire the view.